Sean Doty sifted and sorted through mountains of food scraps, water bottles, aluminum cans, and paper cups and plates during last weekend’s Travelers’ Rest Festival, diverting about 40 yards of compostable material from Missoula’s landfill and recycling most of the rest. It wasn’t an unusual assignment for Doty, who owns the local startup Missoula Compost Collection launched last October. Doty begins work in the early hours of the morning, driving around Missoula with a trailer to pick up food scraps from restaurants and homes. His job plays a significant role in the city’s new Zero Waste plan, which was adopted unanimously by the Missoula City Council Monday night. The plan aims to cut waste to Missoula’s landfill by about 90 percent by 2050. Having co-authored the document, Doty understands the importance of his business collaborating with the city and nonprofits working to implement the goals. Now serving about 150 residences and about 20 businesses around Missoula, Doty works with Garden City Compost and delivers the purchased processed material to residents’ gardens and even restoration sites overlooked by Missoula Parks and Recreation. On the company’s website, residents can become a member for $15 a month. 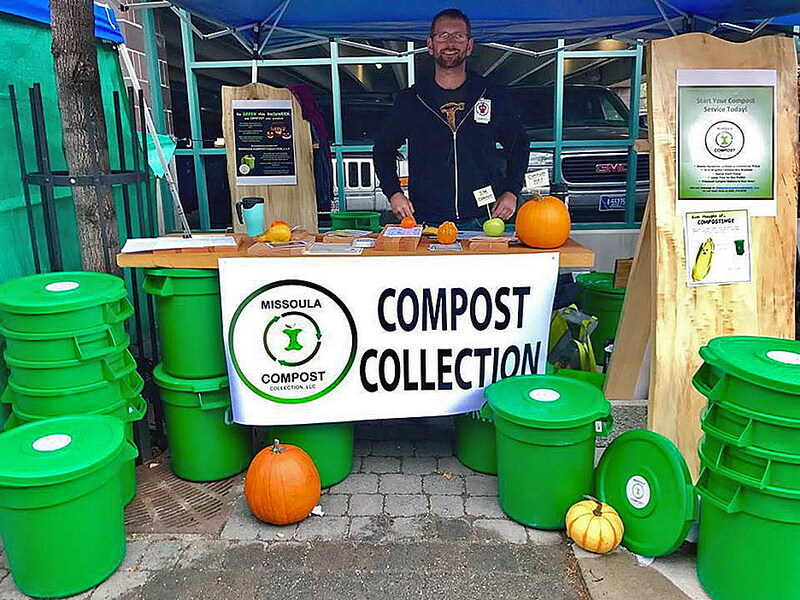 A household can fill a 10-gallon bin with organic material like fruit and vegetable scraps, bread, coffee grounds, grass clippings and leaves, and compostable containers. “The first thing is universal recycling and compost collection services for households and businesses, and that’s what I’m trying to provide so that part of the path can be fulfilled and make that available,” Doty said. Missoula energy conservation and climate action coordinator Chase Jones said Doty is helping implement one of the first pathways to zero waste, which is access. Allowing Missoulians universal access to services to increase participation in waste reduction and composting is a major force driving the plan, Jones said. Developing infrastructure, introducing zero waste education and adopting policies will be other major pathways to success. 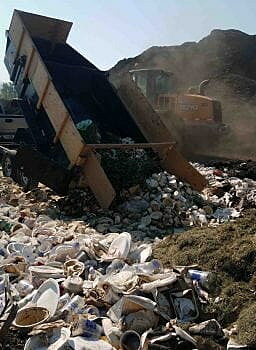 Other cities like Boulder, Colo., and Austin, Texas, are already making headway with their zero waste plans, and Missoula can follow suit with the help of private and government entities working together. While one of the short-term goals is to collect disposal data for Missoula, statewide data from the Montana Department of Environmental Quality estimates that Missoulians will landfill between 91,000 and 112,000 tons of solid waste in 2018. It’s estimated that yard and food waste make up about 28 percent of Missoula’s landfill. With the Zero Waste plan in its early stages, a few short-term goals include implementing more zero waste stations throughout the city, including bins for recycling and composting. Changing social norms is also a goal through creating educational programs in schools to spread awareness of the benefits of zero waste. “It’s keeping up with the rest of the world. If you go out to any other big city and see these plans in action, people who come here from out of state and they don’t even see recycling cans out on the streets or in a lot of businesses, they’re confused about it,” Doty said. In the end, residents and other cities implementing similar plans can agree that clean air, water and making a community an enjoyable place to live are worthy reasons to push forward, Jones said. “A lot of them share the values of clean air, clean water, recognizing the full value of resources,” he said. “Recognizing that when you have all of those things, you have a really high quality of life, and a lot of other great benefits go along with that, like growing in a smart way.